There is only one YOU. Did you know that the chances of your being born are 1 in 14 trillion? Uncover who you are meant to be. Get an inside peek on the making of incredible life lessons and journeys. 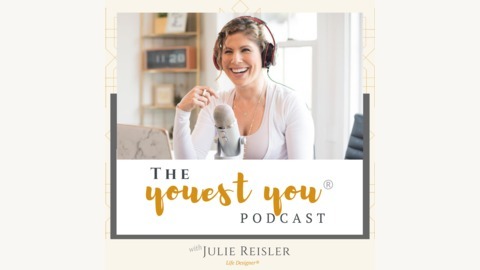 Join Julie Reisler, your host, and author of Get a PhD in YOU, to hear powerful stories from leaders, leading experts, entrepreneurs and incredible human beings who have chosen to become their most extraordinary self. It’s time to be the real you - the one you were born to be. Get ready to discover the truest, you-est you! A little more about Megan: she never stopped moving ever since she was a little girl. Participating in competitive sports since early childhood, she embraced the sense of accomplishment from discipline and hard work. Continuing through college and into her adult life, Megan learned to set priorities to affect desired outcomes. She recognized fueling was equally important to training the mind and body and from where her journey began. Megan’s fond memories of the habitual dessert after dinner is no stranger to many. From home cooked meals and the common parent’s bribe to clean your plate for reward, she learned through research and education how to incorporate better nutrition into her life. The continuous nutritional learning is the easy part. How do we apply and find balance with a career? Megan worked in recruitment, finance, contracts, management, and sales. Career was her priority. Climbing a corporate ladder in a comfortable job with a generous salary, the work became mundane and mechanical. Without passion, Megan committed herself to find her purpose. It was staring at her the whole time. She realized her excitement and satisfaction stemmed from focusing on her colleagues and influencing them to lead healthier lives. Megan always had a passion for health and wellness. As a Division I collegiate swimmer, she understands the challenges of growing up as an athlete and transitioning into a professional career. Balancing a demanding career, marriage, and kids, Megan continuously works towards leading a healthier lifestyle for herself and her family. She learned how to prioritize her health and she wants to help others do the same. Megan is professionally developing her skills to transition into the Health and Wellness industry with measurable goals. 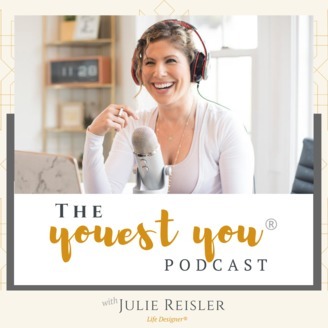 She is the founder of ACE LYFE, her health, and wellness brand, where she works with individuals and groups on methods to help them lead their best life with education and applying concepts on leading a healthier lifestyle. We will follow Megan through her purposeful journey into a completely new career field and provide listeners with up to date first-hand looks at each stage. This will allow anyone who has thought of making a career change into something they are more passionate about or may currently be in the transition stage like Megan, to take notes on the guidance she is receiving and learn and develop from these recommendations to live your purposeful life. There is no such thing as perfection anyhow, be ok with progress over perfection! Hire help, like a VA, if an area isn't your strength. Play and work into your strengths first. Creating your own business takes time, grit, flexibility and remembering your 'Why'. Set yourself up for success by giving yourself plenty of time (1 - 2+ years) to get things lined up. Find free exercise videos on YouTube. You don't need a gym to move!